Rajasthan is a premium destination for tourists, families, and backpackers. It is loaded with touristic attractions and affordable. There are special Rajasthan Tourism Packages that one can take advantage of and plan an itinerary to make the most of your time during a trip and get the best value out of your money. No matter where you go or what you do, you are sure to come back with lifetime memories. One can cover amazing cities like Jaipur, Pushkar, Bikaner, Jodhpur, Udaipur and lots more. On the way, you will come across Forts & Palaces, scenic lakes, and ancient temples. Enjoy traditional Rajasthani dinner within a rural atmosphere on the way. Tour to the villages and keep some time free for shopping. Rajasthan Tours are indeed royal as they offer delightful attractions with beautiful locales and heritage sites. Amazing experiences are awaiting you on those budget tours in Rajasthan. This is your chance to feel the royalty in Rajasthan and enjoy its amazing tours. Here are a couple of some great tours that allow you to explore the vibrant cities of Rajasthan and look forward to an awesome trip. Explore the colorful side of Rajasthan in cities like Jaipur, Jodhpur, Jaisalmer, Udaipur and more. The whole tour will take about seven days. And you are sure to enjoy the royalty in Rajasthan as you take a tour of Mehrangarh Fort or go for the camel rides. Your Jaipur, Udaipur and Mount Abu tour would be fill0ed with forts, temples, lakes, palaces, and rich culture. Get ready for a memorable holiday as you explore the Amber Fort and Udaipur City Palace. Take a tour of Jaipur and Jodhpur and enjoy a great sightseeing experience as you explore those fascinating cities. Experience exciting puppet shows and amazing handicrafts. The astonishing beauty of the cities is sure to compel you to return again. Get ready for a splendid Jaipur & Udaipur holiday to learn about India’s rich cultural heritage. Explore the two most colorful cities and enjoy their architectural marvels like Hawa Mahal and more. Explore Udaipur & Mount Abu in about five days, and you are sure to love the gorgeous cities. Rajasthan deserves to be visited, and you will love the Dharohar Dance Show at Bagore Ki Haveli. Visit Jaipur, Jodhpur, and Jaisalmer and enter a land of intriguing folklore, golden deserts and imposing fortresses. Enjoy an Evening camel safari at Sam Sand Dunes or take a tour of Jantar Mantar. Enjoy a value-added holiday and book now for an exclusive tour to Jaipur & Udaipur for a week! You are in for an enchanting journey and a memorable holiday as you drive through Rajasthan. Explore the Golden Triangle in about a week, and you get to see the enchanting cities of Delhi, Agra, and Jaipur. Enjoy looking at the beautiful palaces and forts the cities have to offer and enjoy the lovely local culture. Another tour not to be missed out on is Udaipur Temple Tour. Explore the intricate splendor of the temples and palaces in the city of Udaipur. 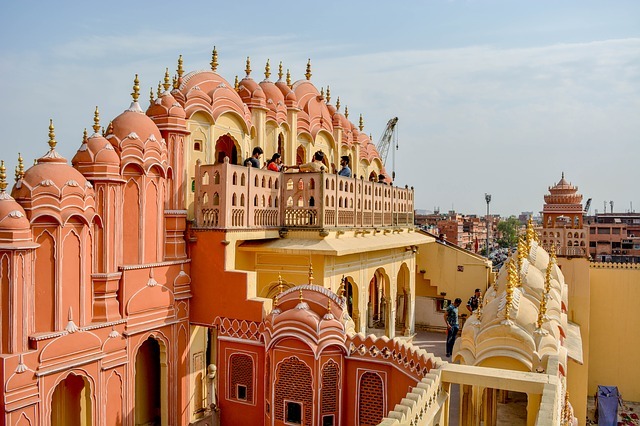 Explore the pink city on pedals and book yourself a cycling tour in Jaipur. Enjoy the traditional culture as you pass the monumental architecture and buildings of the Pink City. One can opt for customizable itineraries where they get to choose the transport, stay & sightseeing as per their taste & comfort. The beautiful locales, heritage sites, and rich food are delightful attractions. The Rajasthan tours are sure to entice you to visit again, and every time you come, you are in for a perfect vacation and a great experience!